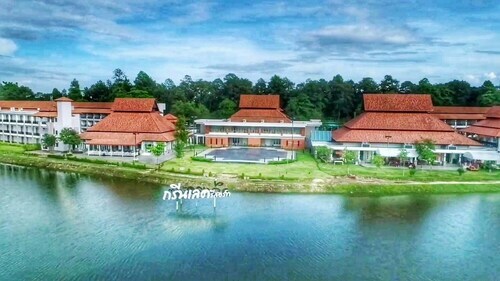 This family-friendly Chiang Mai resort is located near the airport, within 2 mi (3 km) of Chiang Mai International and Exhibition Center and Tribal Museum. Chiang Mai University and MAYA Lifestyle Shopping Center are also within 3 miles (5 km). Located in Chang Phueak, this golf hotel is within 2 mi (3 km) of Chiang Mai International and Exhibition Center, 700th Anniversary Stadium, and Doi Suthep-Pui National Park. Chiang Mai University and MAYA Lifestyle Shopping Center are also within 3 miles (5 km). 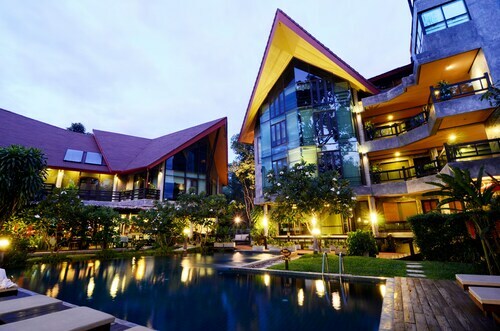 Located in Chang Phueak, this hotel is within 2 miles (3 km) of Chiang Mai International and Exhibition Center, Chiang Mai University and Doi Suthep-Pui National Park. 700th Anniversary Stadium and Chiang Mai Zoo are also within 2 miles (3 km). 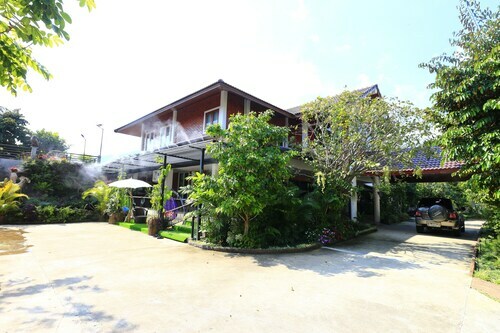 Located in Chang Phueak, this hotel is within 2 miles (3 km) of Chiang Mai International and Exhibition Center, Chiang Mai University and Doi Suthep-Pui National Park. MAYA Lifestyle Shopping Center and Chiang Mai Zoo are also within 3 miles (5 km). Located in Chang Phueak, this hotel is within 2 miles (3 km) of Doi Suthep-Pui National Park, Chiang Mai University and Chiang Mai Zoo. MAYA Lifestyle Shopping Center is 2.2 mi (3.5 km) away. 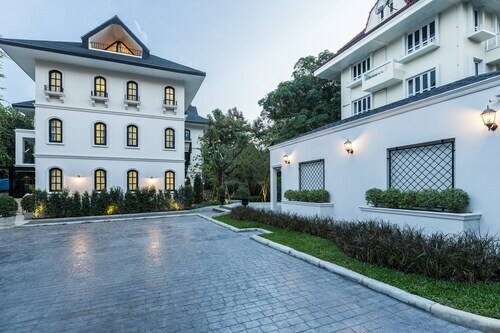 Located in Chang Phueak, this hotel is within 3 miles (5 km) of 700th Anniversary Stadium, Chiang Mai Rajabhat University and Doi Suthep-Pui National Park. Tribal Museum and Chiang Mai International and Exhibition Center are also within 2 miles (3 km). Located in Chang Phueak, this hotel is within 2 miles (3 km) of Chiang Mai International and Exhibition Center, Chiang Mai University and MAYA Lifestyle Shopping Center. Doi Suthep-Pui National Park and 700th Anniversary Stadium are also within 3 miles (5 km).